MC TEAM company offers you a comprehensive services connected to the construction of trade fair stands in country and abroad. 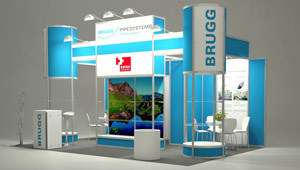 Those are all kinds of exhibition stand built from ready system construction. Stands in individual construction are characterized by an unusual design. 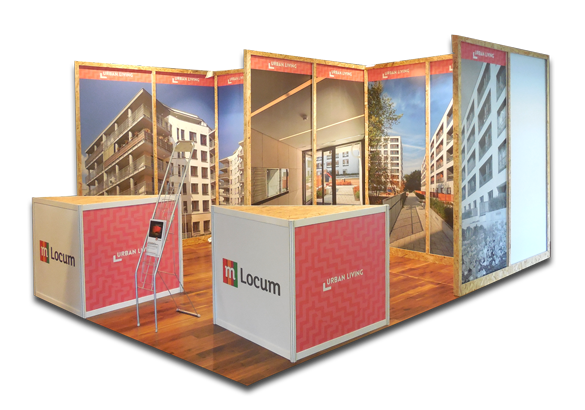 It is standard trade fair construction based on the octanorm system. 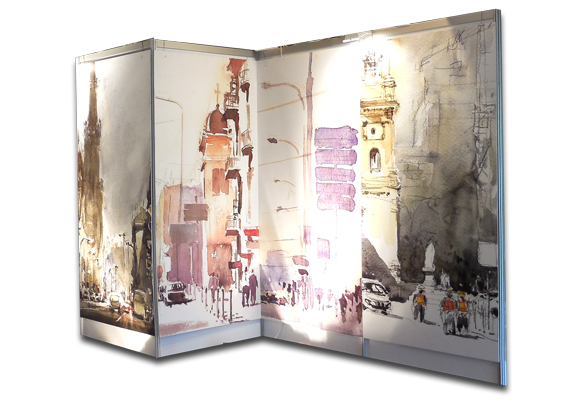 Exhibition walls (poster walls) are a perfect solutions for any kind of poster sessions. We offer you a wide range of additional services depending on needs and expections. 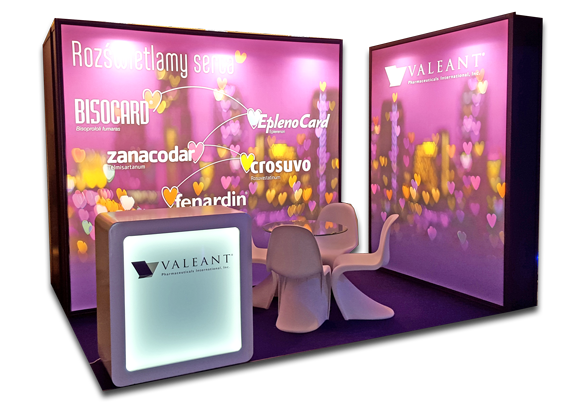 We are able to fit to all client needs, starting from small system stand, up to big stand created on individual order. From the first contact with the client we try to prepare a consistent vision of the stand and we offer help in all technical and factual issues. 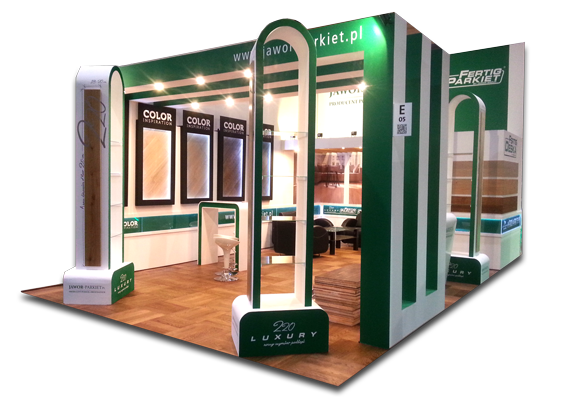 Except our trade fair activity, we also provide outlying services, like renting poster wolls, production of roll ups or custom furniture, including POS displays. Our graphic-advertising studio is a dynamically acting and developing department. From the begining of our existence we realize comprehensive marketing and advisory services based on the newest solutions. The offset print as well as the digital allow to prepare promotional materials for the company. Solvent prints are more durable against UV radiation and exterior conditions. Based on the needs and requirements of the client there are many types of exterior advertising. Advertisment gadgets are a popular form of promoting your own brand. MC Team sp. z o.o. Copyright ? 2019 McTeam. All right reserved.